It’s a good time to be a PlayStation gamer. Over the past few months, 3 absolutely must play games have been released, and all are PS Exclusives – God Of War, Detroit: Become Human, and Marvel’s Spider-Man. 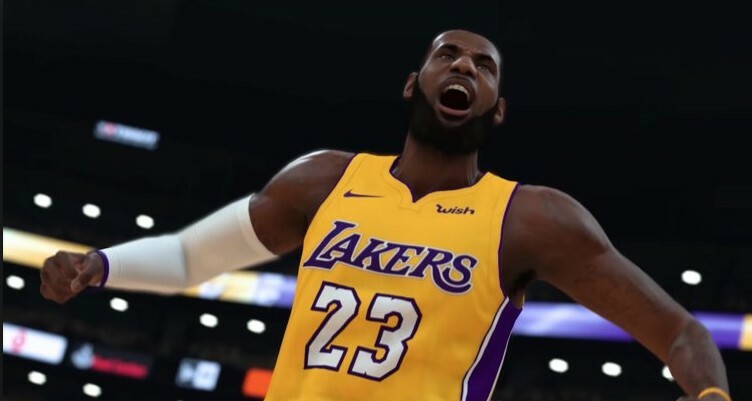 It’s also the perfect time to own a PlayStation console because a few days ago, we broke news of a fantastic NBA 2K19 bundle and for good reason, NBA 2K19 is upon us and as the yearly installment basketball fans have been waiting for, is it still the must buy game we’ve come to know and love? Check out our review below! Before we dive deeper, it would be good to know the differences of the 2 competing basketball games to date, 2K and Live. While Live historically has had a much more fast-paced arcade feel to its gameplay, 2K would be what you would describe as more simulation-like. Think about it as Gran Turismo and Need for Speed, with 2K being Gran Turismo. That said, the 2K series takes pride in its intricacies and attention to detail. The control scheme itself is a beast to learn and master and it is one of those things that you can feel good about yourself once you get to pop out that euro step or that step back 3 pointer you’ve been practicing. Veterans will feel right at home but newcomers will want to head over to the tutorial mode first to brush up on the controls, it is NOT recommended that you dive right in because you will only frustrate yourself playing something that you feel may be unfair or too hard. This game will literally take you to school if you approach it with a gung ho attitude, so my first and most important advice to newbies would be to spend at least an hour or two going through 2KU, or the 2K University, trust me. Like simulation games, there are a ton of options and sliders you can change in this game, and maybe at times there’s TOO MUCH to change that it gets in the way of actually playing the game. Of course, this is not a bad thing and you’ll need to keep in mind that the game is designed this way. It is not your typical basketball game, 2K is very deliberate and playing the game requires an actual thought process to it. Calling out plays, setting screens, directing the defense – all of these things are absolutely necessary if you want to master the game and it may take a while, but the reward is satisfyingly adequate when you make the characters move the way you want them to and perform that alley oop just as you had played it out to be. More than the bells and whistles, 2K19 is a rock solid game with very polished basics. The game system itself if very fluid and everything is just built right, it looks and most importantly, FEELS like a basketball game. One new feature is called the Takeover system, which when used properly, will allow you to… Well, takeover the game. Players are divided into multiple types (rebounding, shooting, passing, etc) and based on your specialty, the Takeover meter will fill up based on your on court actions and once activated, you can enjoy a brief moment of enhanced abilities for your specialty. Remember that old “He’s on fire!” element from NBA Jam? Pretty much the same thing, and I personally love this because people who actually play basketball can pretty much relate to some games where they are just in the zone. Can I just stay in China and be THE star there? Basketball games have certainly come a long way. Back in the day, you only had a few modes to tinker with but the 2K series has always pushed the envelope, employing enjoyable game modes over the years that have made it more than just basketball. It’s actually one of the few “full” games that do not require additional DLC since there’s already so much to see and do. Apart from the usual quick games and practice sessions, you have a very robust create a player feature where you can customize everything from your shoes to how you shoot the ball, MyGM which actually lets you take on the role of a different side of the ball game, and my personal favorite, MyCareer. On a side note, MyGM is not something I’d like to tinker with not because its too complicated, but it’s just not as appealing as the MyCareer mode with all the boring text. Hey, maybe it’s really boring to be a GM? For review purposes, focus will be on MyCareer since it is the most endearing mode out of all. Simply put, creating a player just doesn’t cut it anymore, in MyCareer, you actually take control of your destiny as you take your player as you rise through the ranks either taking him to mediocrity or into the GOAT conversation, the choice is up to you. MyCareer is a story mode of sorts, and in 2K19, the theme is “The Way Back”, wherein you take your undrafted player on a journey through the Chinese leagues and eventually into the NBA. Admittedly, this backstory is also way better than the 2K18 iteration with that DJ and… Let’s not even talk about that. During the course of your “career”, you get to decide the fate of your player based on how well you perform in a series of games that will determine how much your player develops. Play him well, and each game will net you more currency (VC) to level up your player with. In 2K19, I liked how there are actually more ways to earn VC now than what 2K18 had to offer, which was a very slow grind. This time around, progress is faster but still paced very well. Become good enough, and you could make a multi million dollar deal with a team itching to get your talents but perform so-so and you could be coming off the bench with limited minutes. You can negotiate contracts, which gives you currency to upgrade your player even further, you can ink shoe and endorsement deals, and so on. MyCareer literally puts you in the place of a budding NBA superstar and it’s totally mind blowing as to how much more these players have to consider other than just playing a basketball game. It’s a fantastic game mode that allows you to take control of your destiny and having a great story and production value behind it is simply icing on the cake. MyCareer is arguably the most fun you’ll have out of all the modes in the game but keep in mind that if you really want to test your skill, you gotta take your game online and battle it out against the rest of the world. Online gameplay is slick and easy enough to jump into, but finding (and playing) a match may be a different story altogether. At least in my experience, it was relatively easy to hop into a game and get my a** handed back to me as your AI team mates may leave a little bit more to be desired in terms of defense but overall, online play was a relatively smooth and painless experience for me. NBA 2K19 is still the undisputed champ when it comes to basketball games, no doubt about it. While the yearly release and it being a basketball game really limits what “new” features you can put in every year, it doesn’t change the fact that everything in the game is done exceptionally well. It’s an arguably worthwhile upgrade from 2K18, even if just for MyCareer. MyCareer is still the standout feature and the fact that it is a “complete” game unlike all of the paid-DLC riddled titles out there, NBA 2K19 deserves a spot in your game collection, especially for Lebron James fans out there as he is one of the 2 cover athletes for this 20th anniversary installment of the game. Players who purchased the 20th Anniversary Edition get to play the game early, while standard edition will officially launch on September 11, 2018! *The game was played and reviewed on a PS4 Pro via a review code provided by the publisher. NBA 2K19 is still the best bang for your buck basketball game out there. 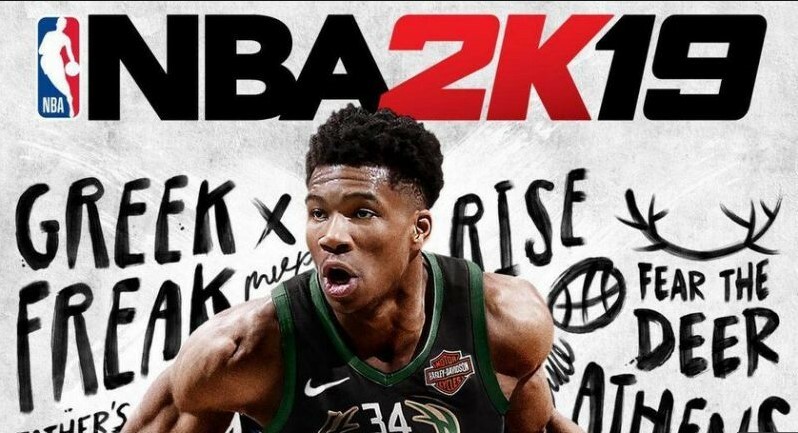 With improved graphics and gameplay, 2K19 boasts of the best game experience, from the MyLeague and MyGM modes to the highly anticipated MyCareer, this game deserves a spot in your playlist.